Effortless, easy and super comforting. This makes a great vegetarian dinner option, but is also impressive enough for spring entertaining. Feedfeed Tip When trimming asparagus, no need to use a knife! Holding the asparagus stalk between two hands, apply pressure to the center. The stalk will break where the woody ends starts, which can then be discarded or used to make an asparagus flavored stock for spring soups and risottos. Yum! This hearty salad hits all of the right flavor notes; creamy, spicy, tart and bright. 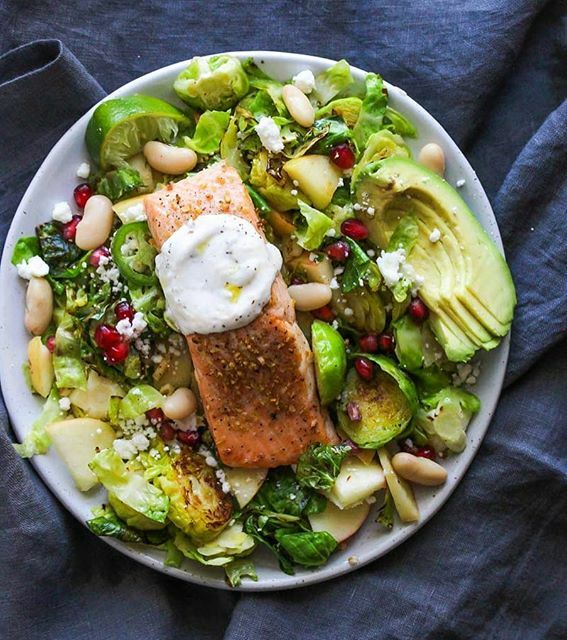 The salmon cooks in just 8 minutes, and to save even more time buy pre-shredded Brussels Sprouts. Feedfeed Tip Toss the diced apple in lemon juice to prevent it from browning. We suggest tripling the pesto recipe here so you can use it throughout the week. The recipe calls for walnuts (which are in the grocery list as well) but feel free to use whatever nuts you have on hand. 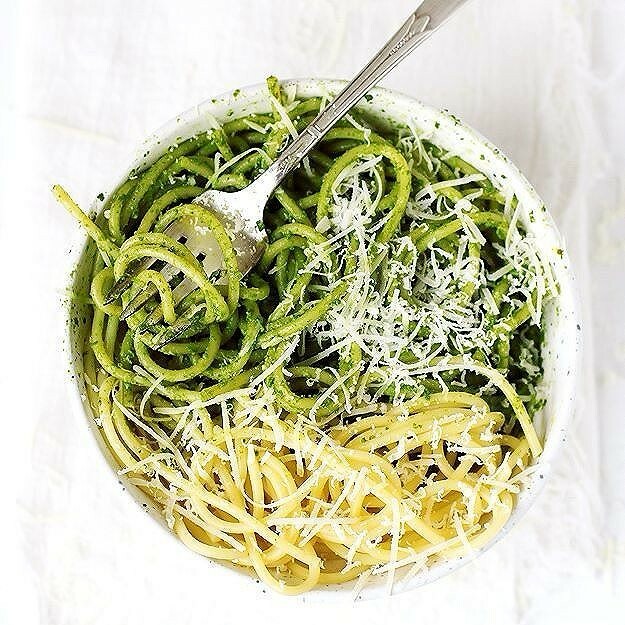 Feedfeed Tip If you wind up with any leftover pesto, toss it in ice cube trays and freeze. Pop it out and defrost whenever you need a little extra flavor. 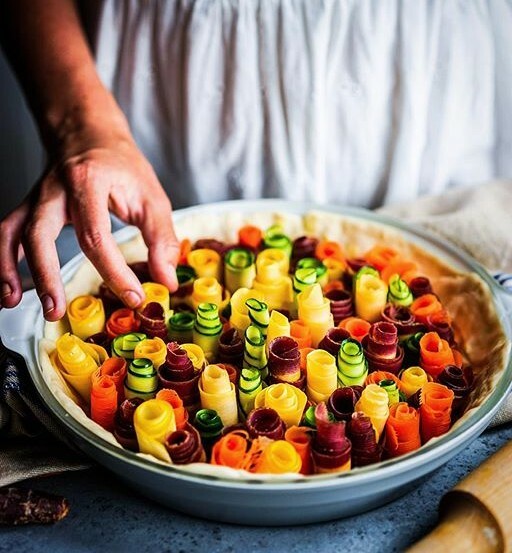 Making these vegetable roses is very easy, but if you are pressed for time, you could just cut the veggies into coins. 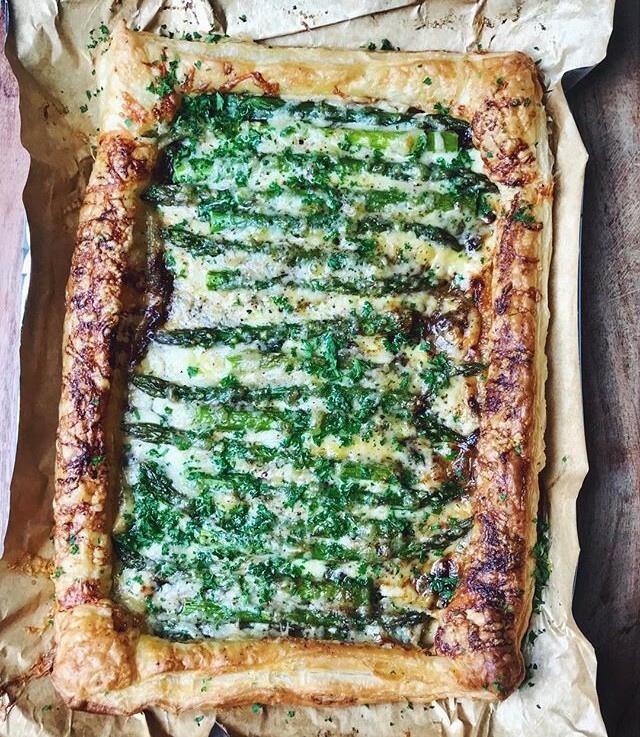 You'll use some of your leftover pesto here, and feel free to serve a little extra drizzled on top once the pie has been baked. 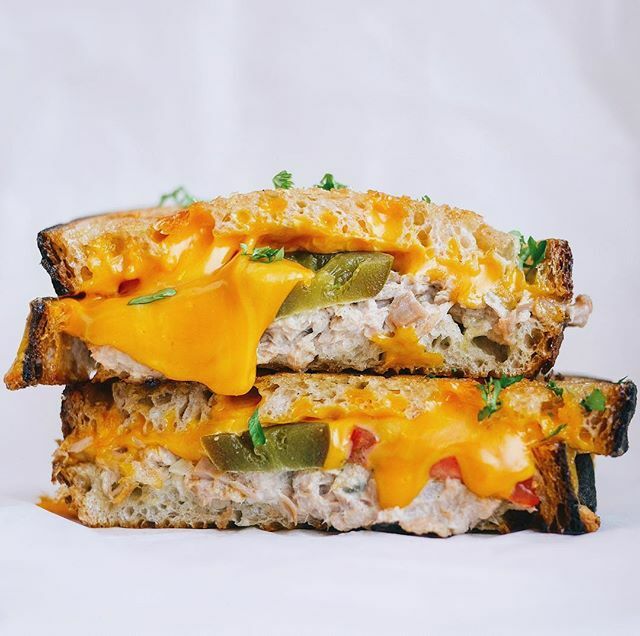 Doesn't get much easier than this; make a quick classic tuna salad, add some cheddar and toppings of choice (we vote for pickled jalapeños!) et voila! Feedfeed Tip When making grilled cheese or these tuna melts, add a thin later or mayo to the outside of the bread. Mayo has a very high smoke point so it will prevent the bread from browning too much before the cheese has melted. 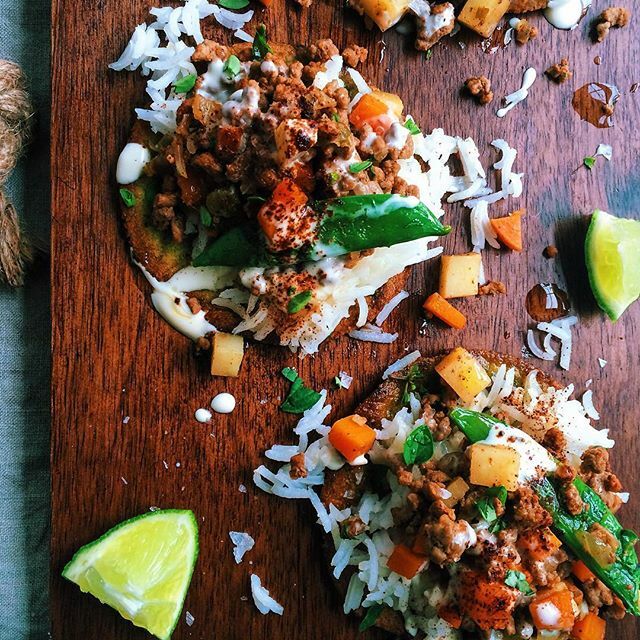 Picadillo is similar to what you may know as hash, so this recipe is very flexible. Feel free to riff and add whatever odds and ends may be in your fridge, and topping these tostadas with a fried egg is highly encouraged! If ground beef is not your thing, you could also use ground chicken, turkey or chorizo. Cap off the week with a stack of crepes! 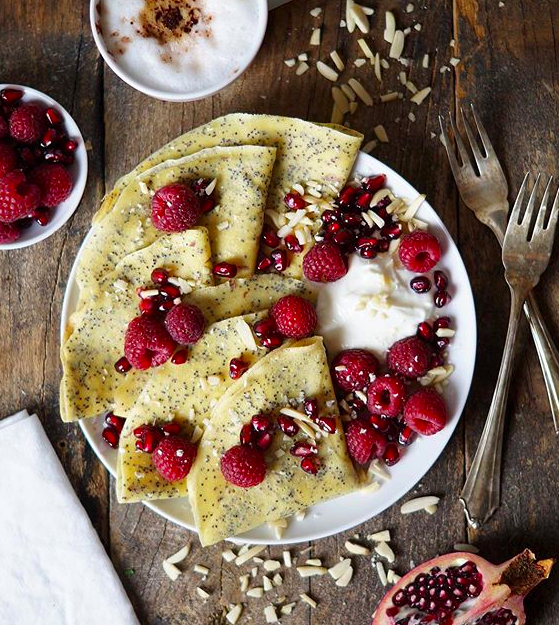 Use leftover pomegranate arils from earlier in the week to top these light and airy crepes. Feedfeed Tip When making crepes, let the batter rest for about 30 minutes to an hour before cooking. This will allow the gluten to relax, resulting in a more tender crepe.